Above: William Alfred Passavant, Sr.
Evangelical Lutheran Worship (2006), the service book-hymnal of the Evangelical Lutheran Church in America, lists William Passavant as a saint, sharing the feast day of November 24 with fellow pastors Justus Falckner (died in 1723) and Jehu Jones (died in 1852). However, my denomination, The Episcopal Church, celebrates Passavant’s life on January 3, without Falckner and Jones. I choose to follow the lead of my church as it has expressed itself in Holy Women, Holy Men: Celebrating the Saints (2010). Holy Women, Holy Men (2010) lists Passavant as a “Prophetic Witness.” That description is succinct and accurate yet too vague. Our saint, an ardent evangelist, laid and helped to lay the foundations of Lutheran synods in Canada and in the Midwest and the West of the United States. His influence in this realm was both direct and indirect. He also founded hospitals and orphanages, homes for epileptics, and homes for elderly people. He raised funds for the support of these institutions of mercy and encouraged the founding of other such institutions. Passavant proved instrumental in bringing the order of deaconesses, revived among German Lutherans in the 1800s, to the United States. (Johann Konrad Wilhelm Loehe, a Bavarian Lutheran minister, whose feast day is January 2, also worked on that aspect of church work in the 1800s.) Deaconesses worked in institutions of mercy. And our saint founded and helped to found educational institutions. William Alfred Passavant, born at Zelienople, Pennsylvania, on October 9, 1821, was a son of Fredericka Wilhemina Basse Passavant and Philippe Louis Passavant, a merchant. Our saint grew up in a pious Lutheran family with his parents and siblings. He attended Jefferson College, Canonsburg, Pennyslvania, before preparing for the ordained ministry at the Lutheran Theological Seminary at Gettysburg, Pennsylvania. The German Evangelical Lutheran Ministerium of Pennyslvania and Adjacent States, or the Ministerium of Pennyslvania for short, licensed Passavant to preach in 1842 and ordained him during the following year. At Pittsburgh Passavant began to make his greatest contributions to the Lutheran Church. In 1845 he organized the Pittsburgh Synod, known as the “missionary synod.” From Pittsburgh missionaries fanned out across Canada and the U.S. Midwest and West. The Pittsburgh Synod, part of the General Synod of the Evangelical Lutheran Church in the U.S.A. (1820-1918) from 1853 to 1864, helped to found the more conservative General Council of the Evangelical Lutheran Church in North America (1867-1918). The Pittsburgh Synod divided in 1867, with the older body remaining an affiliate of the General Council and the second Pittsburgh Synod joining the General Synod. Over time the General Synod became more conservative and the General Council shifted to the left. The two federations moved toward each other. Reunion in 1918 meant that the new United Lutheran Church in America (1918-1962) had two Pittsburgh Synods, which merged in 1919. The missionary legacy of Passavant’s Pittsburgh Synod is impressive. That legacy includes the Texas Synod (1851), the the German Evangelical Lutheran Synod of Minnesota and Other States (1860), the Canada Synod (1861), the English Evangelical Lutheran Synod of the Northwest (1891), and the Nova Scotia Synod (1903). The Minnesota Synod (1860), now part of the Wisconsin Evangelical Lutheran Synod, grew out of a scouting mission to St. Paul, Minnesota. Passavant was interested in starting English-language congregations, for many English-speaking Lutherans who moved westward could not find any linguistically compatible Lutheran congregation. Other denominations were gaining members because of this fact. 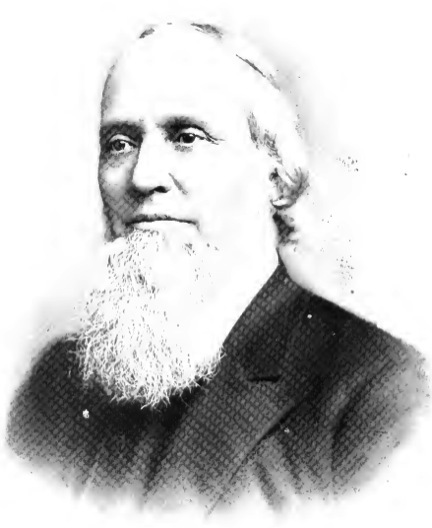 Passavant realized the necessity for German-language missions also, so he enlisted the aid of “Father” John Christian Frederick Heyer (1893-1873), who had served as a missionary in Ohio, Kentucky, and Indiana (1820-1840) and India (1842-1845 and 1847-1857). 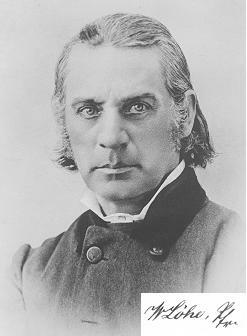 Heyer founded the Minnesota Synod (1860). English-language missions of the General Council also took root, becoming the English Evangelical Lutheran Synod of the Northwest (1891). The General Council’s Pacific Synod branched off from the Synod of the Northwest in 1901. Passavant was also helpful to the Swedish and Norwegian immigrants who founded the Scandinavian Evangelical Lutheran Augustana Synod, later simply the Evangelical Lutheran Augustana Synod, in 1860. (The Norwegians broke away in 1870.) He, as the editor of The Missionary (1848-1861), encouraged his readers to support Swedish immigrant congregations financially in the 1850s. Passavant also facilitated a speaking tour for Pastor Lars Paul Erbjorn (1808-1870), leader of those immigrants, to raise funds for the new churches. Our saint continued to have a relationship with these congregations after they left the General Synod’s Synod of Northern Illinois (founded in 1851) and started the Augustana Synod in 1860. He encouraged the new Augustana Synod to found orphanages. They followed his advice, starting in 1865. Related to missionary work was education. Passavant helped to found Thiel Collge, Greenville, Pennyslvania, in 1869. He also helped to found Chicago Theological Seminary, Chicago, Illinois, in 1891. Our saint understood the importance of having an English-language seminary to supply ministers for English-speaking congregations in the Midwest and the West. The presence of the English Synod of the Northwest (also founded in 1891) and the new seminary in Chicago alarmed many in the Augustana Synod, also a member of the General Council. Were the new English-language synod and seminary competing with the Augustana Synod on its turf? Or were these Swedish Americans unduly sensitive? Regardless of the answers to these questions, Passavant was prescient. Passavant was active in the related fields of institutions of mercy and the revived order of deaconesses. He founded hospitals, orphanages, homes for the aged, and homes for epileptics from 1849 to 1871 and raised more than $1 million for their support. Those who were less fortunate deserved the best of care, our saint affirmed. This man, who founded more such institutions than any other Lutheran in the United States, started the first Protestant hospital (at Pittsburgh, in 1849) and the oldest Protestant orphanage in continuous existence (also at Pittsburgh, in 1852) in the United States. Among the workers in these institutions of mercy were deaconesses, heirs to an ancient Christian order historically stronger in the Eastern Orthodox Church than in Western Christianity. Pastor Theodor Fliedner (1800-1864) had renewed the order among German Lutherans. He and four deaconesses came to America in 1849, having accepted Passavant’s invitation. Fliedner toured the United States then returned home. The deaconesses worked in the new Lutheran hospital at Pittsburgh. The following year our saint consecrated the first American deaconess of the new Institution of Protestant Deaconesses. That institution experienced slow growth through the early 1890s, for there were only twelve American deaconesses through 1891. Nevertheless, the deaconess movement in U.S. Lutheranism grew elsewhere during that time. The Ministerium of Pennsylvania established its deaconess motherhouse at Philadelphia in 1887. Also, the deaconess movement in U.S. Norwegian Lutheranism began in 1883. The Passavant portion of the deaconess movement gained new life in 1893, with the founding of the motherhouse at Milwaukee. These “inner missions,” Passavant wrote in 1848, were just as important as formal education, Sunday School, catechesis, and good liturgy. Church members, he wrote, had temporal needs. Fulfilling them was a sacred task, one which William Alfred Passavant, Jr. (1857-1901), also a Lutheran minister, fulfilled. Our saint’s son also founded institutions of mercy and was active in the deaconess movement. The younger Passavant, who served as the General Superintendent of Home Missions for the General Council, died of apoplexy in 1901. He was 44 years old. Our saint, a vocal opponent of slavery before and during the Civil War, and a U.S. Army Chaplain during that conflict, lived according to a strong moral compass. He encouraged faith-based good works and confessional Lutheran doctrine as editor of The Workman, of which William, Jr., was a publisher, from 1881 to his death in 1894. In late December 1893 Passavant, Sr., attended the funeral of a fellow minister in Milwaukee. There he came down with a severe cold. A week later our saint died in Pittsburgh. He was 72 years old. and provide for the theological education of future ministers. and who with you and the Holy Spirit lives and reigns, one God in glory everlasting. Amen. The name of Johann Konrad Wilhelm Loehe comes from the calendars of Evangelical Lutheran Worship (2006) and the Lutheran Service Book (2006). The former lists him as a “renewer of the church,” and the latter simply as a pastor. Both descriptions are accurate yet inadequate. The fact that I honor Loehe indicates that I respect him, not that I agree with him all of the time. I cannot, in fact, think of anyone with whom I never disagree. Our saint, who was frequently at odds with his ecclesiastical superiors, proved that life in exile need not prevent one from leaving an impressive legacy. The native of Furth, near Nuremberg, Middle Franconia, lost his father, a shopkeeper, at the age of eight years. Loehe studied at Nuremberg before matriculating at the University of Erlangen in 1826. At first Loehe leaned toward Reformed theology, but encounters with the Lutheran Confessions changed his mind. Our saint, who graduated in 1830, became an ordained minister the following year. From 1831 to 1837 he served at a series of churches. He alienated many people, especially his superiors. Loehe, a minister of the Bavarian state Lutheran church, argued against state control of the church. He also opposed rationalist influences in the Lutheran Church on one side and Pietistic minimalization of sacraments on the other side. Holy Communion, Loehe said, was the proper center of parish life. Our saint, a confessional Lutheran, circulated a proposed confessional basis for the church. His superiors were not impressed. From 1837 to his death in 1872 Loehe served a small church in Neuendettelsau, Bavaria, an out-of-the-way village. This was ecclesiastical exile. This gift of holy food. For us both host and meal! Loehe was a Neo-Lutheran, a member of a movement similar to the Oxford Movement within Anglicanism. His exaltation of the Holy Communion prompted many detractors to accuse him of Crypto-Catholicism. Another theological issue in the minds of some critics of Loehe was his stress on the catholic nature of the Lutheran Church as its Confessions defined it. For Loehe, to whose theology the cross of Christ was central, the Lutheran Confessions conformed without deviation to the New Testament. He wrote at least two hymns which exist in English translation. I quoted one stanza of one of those hymns above. The second hymn, “O Son of God, in Co-Eternal Might,” has graced my GATHERED PRAYERS weblog. Loehe operated an ambitious foreign missions program from Neuendettelsau, where he founded a school for missionaries. In 1841 he became concerned about the needs of Lutheran churches in the United States. He encouraged many German emigrants to settle in the Saginaw valley of Michigan in 1845. Our saint also prepared and published maps to encourage German emigrants to settle in extant German immigrant communities in North America. In 1845 Loehe commenced a mission among Native Americans. The founding of Concordia Theological Seminary, Fort Wayne, Indiana, took place during the following year. Loehe sent missionaries not only to North America but to Australia, New Guinea, the Ukraine, and Brazil. The progress of the process of Americanization. These pastors and Loehe helped to found the German Evangelical Lutheran Synod of Missouri, Ohio, and Other States, now The Lutheran Church–Missouri Synod, in 1847. The Missouri Synod also acquired the seminary at Fort Wayne and the mission program among Native Americans. Relations between the Loehe forces and the Missourians broke down, however. One reason was disagreement regarding the theology of ordained ministry. The Missourian position held that the congregation held all powers and rights of ordained ministry via its participation in the priesthood of believers. The congregation, therefore, transferred these powers and rights to the minister when it called him to serve it. Loehe rejected this transference theology. It was, he argued, an example of “American mob-rule.” No, our saint said, ministerial authority was independent of the congregation a pastor served. Such authority came directly from God via ordination, he argued. Another issue was contention between Loehe and the Missourians concerned interpretation of the Lutheran Confessions. The Missourian position held that the Lutheran Confessions were in complete harmony with the scriptures. There was, therefore, no ambiguity on any issue. Loehe disagreed. As I established a few paragraphs ago, our saint thought that the Lutheran Confessions conformed without deviation to the New Testament. He stated, however, that the only proper context in which to interpret the Confessions was historical. Loehe concluded, therefore, that both the Lutheran Confessions and the scriptures left room for a variety of opinions about certain controversial questions. For example, is the Pope the Antichrist? And how much interest may a banker charge morally? Loehe’s tone was both confessional and irenic. The synod subscribes to all the symbolical books of the Evangelical Lutheran Church because it recognizes all the symbolical decisions on controverted questions before or during the time of the Reformation as corresponding to the divine Word. But because within the Lutheran Church there are different tendencies, the synod espouses that one which strives for greater completeness by means of the confessions and on the basis of the Word of God. In the founding of congregations the synod is not content with mere acceptance of its principles of doctrine and life, but requires probation and therefore re-established the catechumenate of the ancient church. The goal to be sought in its congregations is the apostolic life; to attain this, official and fraternal discipline is to be practiced. The Missouri Synod, the Joint Synod of Ohio, and the Buffalo Synod agreed that the preceding statement was too vague and that subsequent elaborations were inadequate. 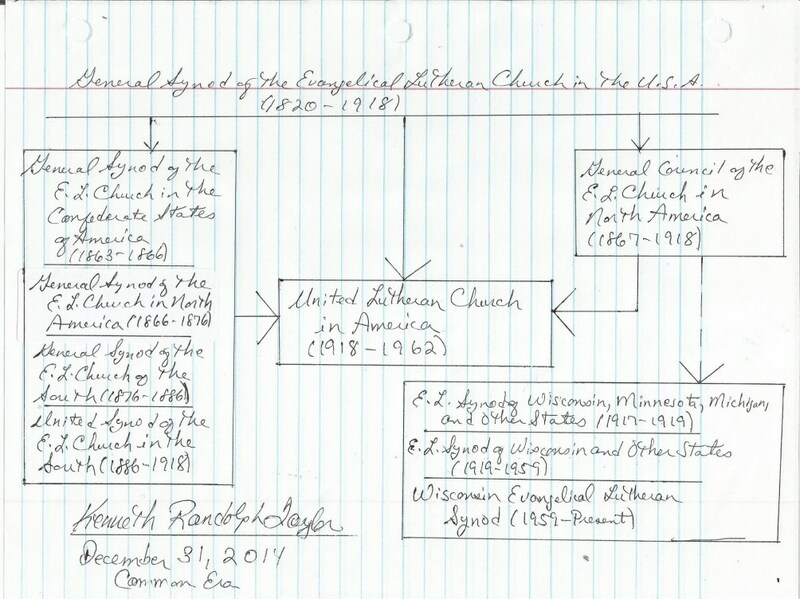 The Buffalo Synod, the Joint Synod of Ohio, and the Iowa Synod resolved their differences in time, however, for they merged to form The American Lutheran Church (1930-1960), a predecessor of The American Lutheran Church (1960-1987), a predecessor of the Evangelical Lutheran Church in America. Loehe also established a motherhouse for deaconesses at Neuendettelsau. These women lived communally, practiced celibacy, provided social services (mostly in Bavaria), and made paraments for church buildings. Our saint sent six deaconesses to North America. Loehe, who married in 1837, spent most of his life as a widower. His wife died at age 24, leaving him to raise four children. That must have been difficult for him. Our saint died at Neuendettelsau on January 2, 1872, after suffering a stroke. He was 64 years old. He had used his time on the planet well. In the great majority of posts in this genre I provide more personal details than I do in this one. This time, however, I choose to include links to sources for those details and to focus instead on some targeted reflections related to Mandela. Apartheid was a brutal and unjust system in the Republic of South Africa. The national government deprived the majority population of civil rights and liberties. It also persecuted even nonviolent activists for social justice. Racism was one reason for these policies. Some people were simply callous bastards. Other reasons for these policies were the desire to retain power and the fear that a politically empowered majority African population might take revenge on the minority White population. Those fears of revenge were predictable. Indeed, movements of national liberation have not always led to peace and reconciliation. Nevertheless, injustice is wrong at all times and places, and fear is no excuse for not respecting the image of God in other people. Nelson Mandela struggled for social justice. For a time, as part of that effort, he approved of violence. Perhaps that was the only option the South African government left him for a while. I choose to refrain from judging Mandela for that tactic, for I am in no position to do otherwise. Far be it for me, one who has never lived under such an oppressive system, to judge those who have and who have resisted! I do not know what decisions I would have made in their circumstances. I do know, however, that my liberal tendency to oppose oppressive regimes and to support oppressed people renders me amenable to those who struggle for the recognition of their human dignity, which those in authority deny. Slave rebellions make sense to me, after all. Will the slaveholders emancipate the slaves if the slaves ask nicely? The historical record does not indicate that they are inclined to do so. Mandela, a Christian (a Methodist, to be precise), became a peacemaker. The man, who, as a high-profile political prisoner, negotiated the terms of his release with President F. W. de Klerk, served as President from 1994 to 1999. Then, unlike, many national leaders in Africa, he retired from office willingly. Post-Apartheid South Africa featured no reign of vengeance. No, President Mandela sought to united the diverse, divided population. When Mandela died in December 2013 tributes to him in the United States were bipartisan. Many of those who praised him were former critics. However, many people on the conservative end of the political spectrum remained critical of the great man. These criticisms were relics of the Cold War. During the Cold War the United States of America and the Republic of South Africa were allies against Communists. (The Cold War made for some uncomfortable and unfortunate alliances. Frequently the U.S.A. allied itself with brutal governments.) The Cold War also became an obstacle to seeking social justice in South Africa. 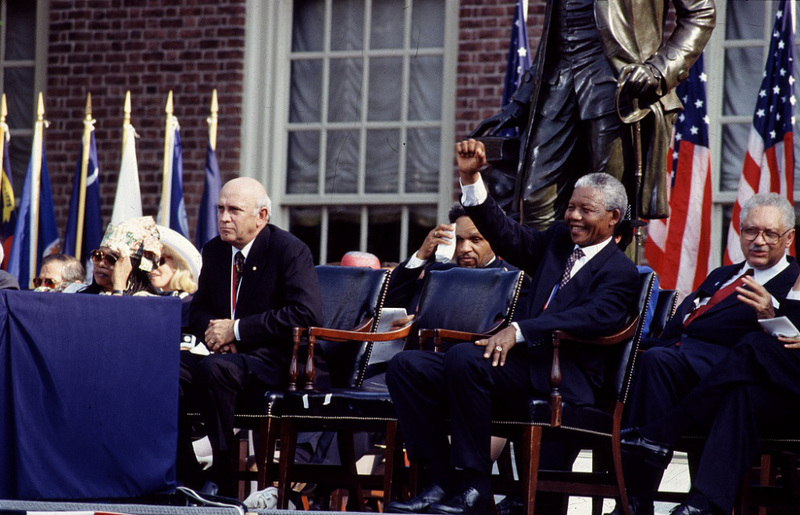 President Ronald Reagan, a firm opponent of the Soviet Union, told Archbishop Desmond Tutu to his face in the 1980s that the majority population of South Africa would have to wait for its freedom. With the government of the United States allied with the government of South Africa and labeling the African National Congress (ANC) as a terrorist organization, many South African dissenters found allies which dismayed the U.S. government and confirmed it in its distrust of the ANC. But what if the U.S.A. had allied itself with those seeking freedom in South Africa instead of those who seeking to deny it? What is the value of boasting of high ideals without living them? Mandela was an agent of God, social justice, and national reconciliation. The human race needs more people like him. offers no comfort and little help.